Sumant Singh June 1st, 2015 Social Media Marketing 2 comments. Twitter is now thinking to go ahead with next level of advertising. 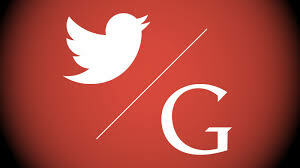 The latest buzz is about Twitter's attempt to test a feature where it will display promoted tweets in user profiles. So, don't get amused if you next time spot a sponsored brand ad in your friend's profile. This is something that Twitter has been testing.Technology magazine Recode reveals that the micro-blogging biggie is conducting a test to insert promoted tweets in user profiles. The magazine reported that the sponsored ads are specially meant to be inserted within the user profiles and not in with other content. In addition to this, The ad units will be clearly separated by a break in the stream, followed by a label “suggested by Twitter”. As the ads are targeted to push into user profiles, they will only be served to the users who are logged in. You won't be able to see the ads if you're a guest visitor or logged out of your account. Though, it's a shortcoming in the test so far, Twitter assured to look into it if test becomes successful.Currently, the promoted ads will be shown only in the non-verified twitter accounts. I think even took for some thing to happen. A bad is that the twitter don’t start the option for the user himself could earn some thing with this type of sponsored advertisement. But they’re the owners and they make a decision what to put or not there.